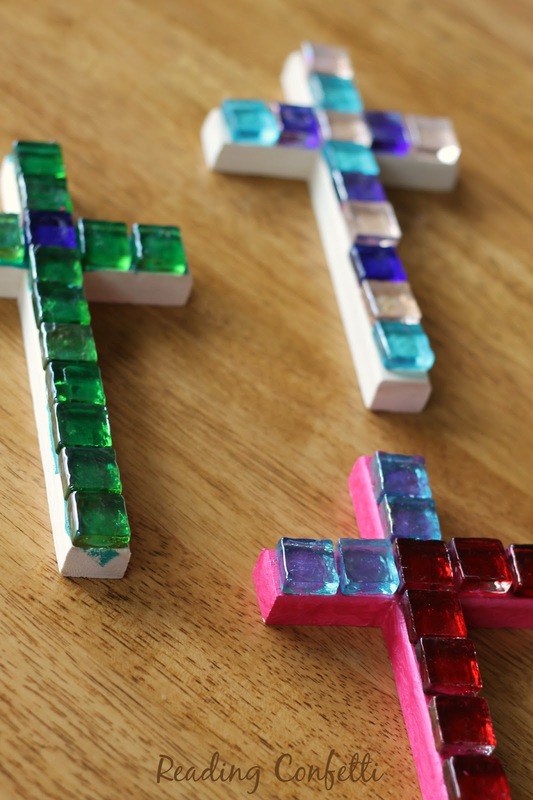 These mosaic crosses are easy and inexpensive to make, so they'd make a great last minute Easter craft. My kids also made some to give to their godmothers and grandmothers on Mother's Day. 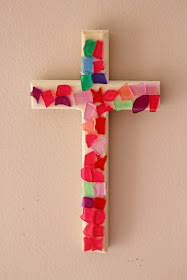 My daughter came home from preschool with this craft and once my son saw it, he wanted to make one too. I couldn't find the little plastic mosaic tiles anywhere. We settled on larger glass mosaic tiles that we found at Michael's craft store (where we also found the plain wooden crosses). Each wooden cross was just a dollar. 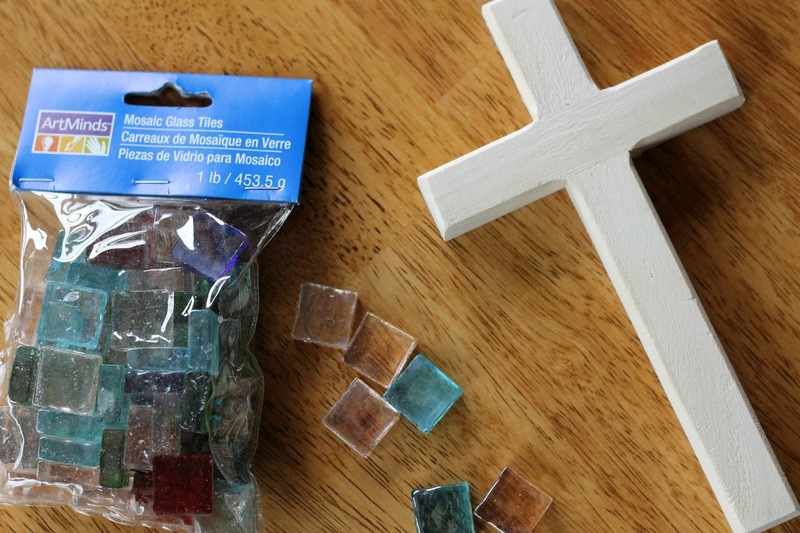 The pack of tiles was around two dollars and will cover at least four crosses. We decided to paint the wooden crosses first. After the paint was dry, the kids arranged their tiles in whatever pattern they chose. Since hot glue seemed to work the best for making them stick, I was the one that actually glued the tiles to the cross. 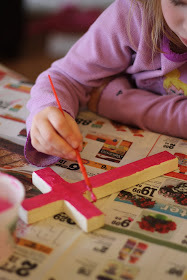 The kids liked making them and I think they'll make cute gifts for Mother's Day. Absolutely beautiful, I'm going to make these with my Senior Citizens.